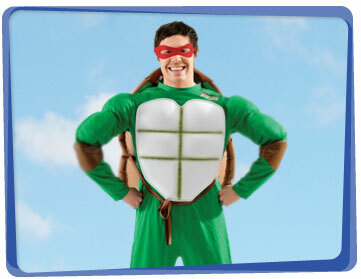 Let your children’s imaginations soar to infinity and beyond with one of our professional super heroes for a day! Why not hire a Yabadoo superhero in Adelaide to come to your kids birthday party and save it from destruction! 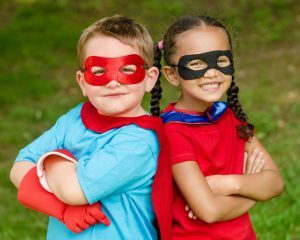 With over 18 years experience, our superheroes for hire know what to do to give your child the memorable party they deserve. Our saviours of the day will bring plenty of thrilling superhero birthday party ideas with them including: a magic show, balloon sculpturing, funny props, games, face painting, temporary tattoos and much more. To make your child feel important on their special birthday, our entertainers will give them an extra special twisted balloon during the magic show. Our Adelaide Super Heroes for hire are often asked to perform at all types of events in a wide variety of locations including: play centres, product launches, shopping centres, birthday parties, promotional events, fairs, Christmas parties and just about any other event under the sun. Our entertainers in Adelaide all have backgrounds in drama and wear brightly coloured, professional costumes. We had a super hero at my son’s birthday party last Saturday. He was a huge hit. He had the kids in stitches with his magic show and the children did not want it to end! Thank you so much for making my son's birthday such a fun and enjoyable one for all the kids and especially for my son, who said it was the best party ever (in all of his three years!). We also received comments from the parents on how much fun they thought he was! We really loved the experience. - Lynn P.
This superhero party game idea can be a competitive or a non-competitive game. Whatever you choose, one thing stays the same: It’s super duper fun! Run in zig-zags, going in and out of cones or any object you may want to use. Karate kick a villain. You can use a bop bag for this. Free fall or jump on a pile of pillows, blankets, and cushions. Break through a wall. You can have two adults hold two flat cardboard boxes each so the child can run through it at the middle. You can divide the superheroes into 2 teams and do a relay race. The team with the fastest time wins. If you want a non-competitive game, have the superheroes do the obstacle course til they get tired of it.